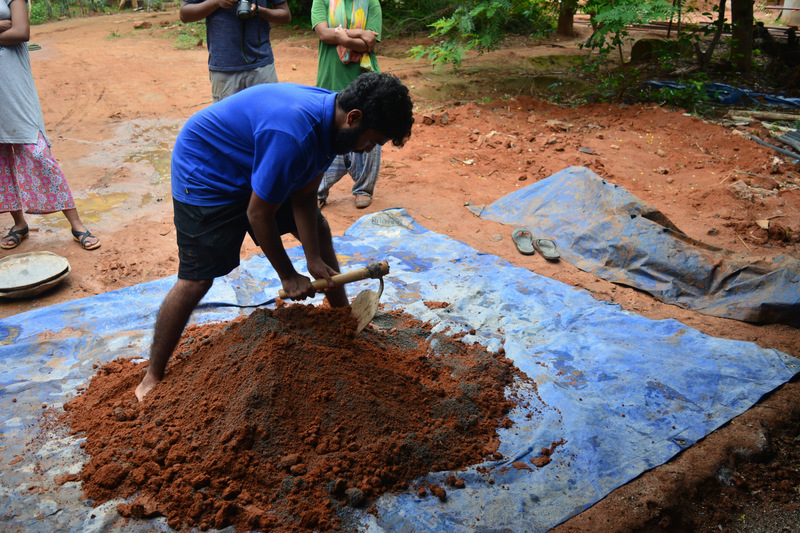 We learn about the hands on philosophy and experience of the Sacred Grove housing project through its volunteers and project holder Manu Gopalan. The site is a lively mix of different functions, where the work site includes a small nursery and composting area that is fenced off, a dining platform, a carpentry shed, several containers serve as tool sheds, the living quarters and dormitories are a little set back. Mahesh Bhaiya. The man of steel. “Balance?, No Balance?”The 22 year old,asks everyone at the end of the day at the Sacred Circle. He moves his arms up and down, his palms connoting the two pans of a weighing scale.“There has to be a sense of balance between your personal and professional life.”, he says with a wide smile on his face.